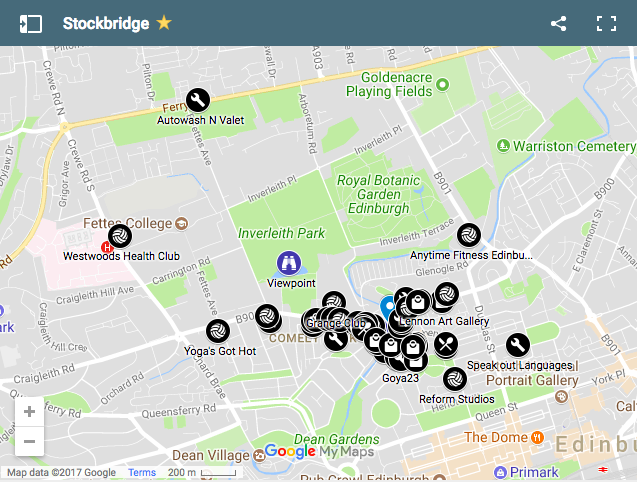 Stockbridge Local collaborates closely with independent businesses in Stockbridge to maintain and boost the thriving ‘village’ within the city, offering you a comprehensive overview of these businesses and exclusive deals. We are the one-stop-shop when it comes to all things Stockbridge. Stockbridge Local collaborates closely with independent businesses that serve the people of Stockbridge and the surrounding area to maintain and boost the thriving ‘village’ within the city, offering a comprehensive overview of these businesses. Stockbridge is a lively and quaint area in the northwest of Edinburgh, Scotland. It was voted the Best Place to Live in Scotland in The Sunday Times ‘Best Places to Live in Britain Guide 2016’, primarily due to the number of unique places to eat and drink, specialty shops in charming surrounds. Capital Credit Union's winner walks away with a car! Stockbridge Local organised a fantastic event, which was sold out, and made sure that everyone was brilliantly looked after. Stockbridge Local is a very positive venture that I am confident will continue to bring out the very best of the community. — Mark Beaumont (TV presenter, record breaking round the world cyclist and endurance adventurer). Over 100 locals and traders from the Stockbridge area of Edinburgh gathered at the Grange Club, who kindly provided the use of their elegant venue free of charge and, along with generous donations from Pickerings Gin who laid on a fantastic drinks reception, there were delicious canapés and support from Armstrong’s of Stockbridge, George Mewes Cheese, Kenji Sushi, The Stockbridge Restaurant and Street Box Thai.